President-Elect Donald Trump Colorized 2 Bill | BUDK.com - Knives & Swords At The Lowest Prices! 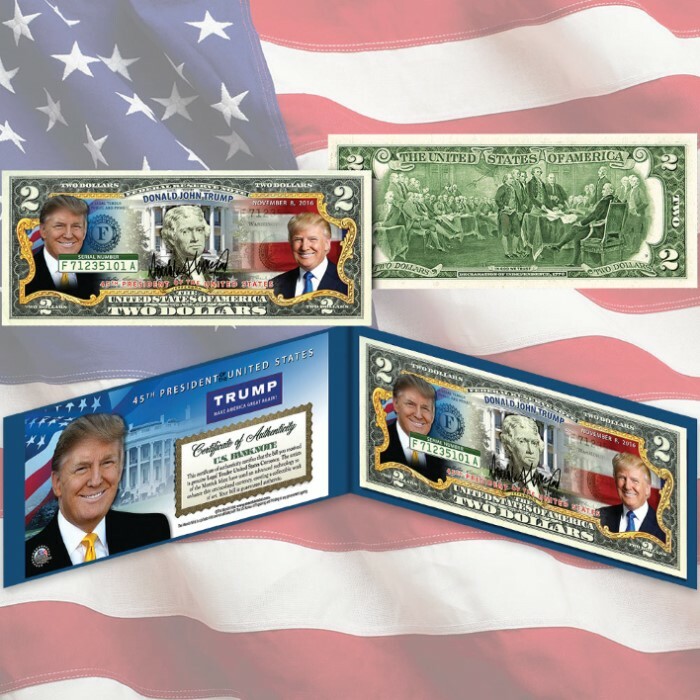 This President-Elect Donald Trump uncirculated 2 Bill is genuine legal tender of the United States, enhanced with beautiful colorized images of Trump. The full-color images are accomplished through a revolutionary new process pioneered by the Merrick Mint. Included is a Certificate of Authenticity. 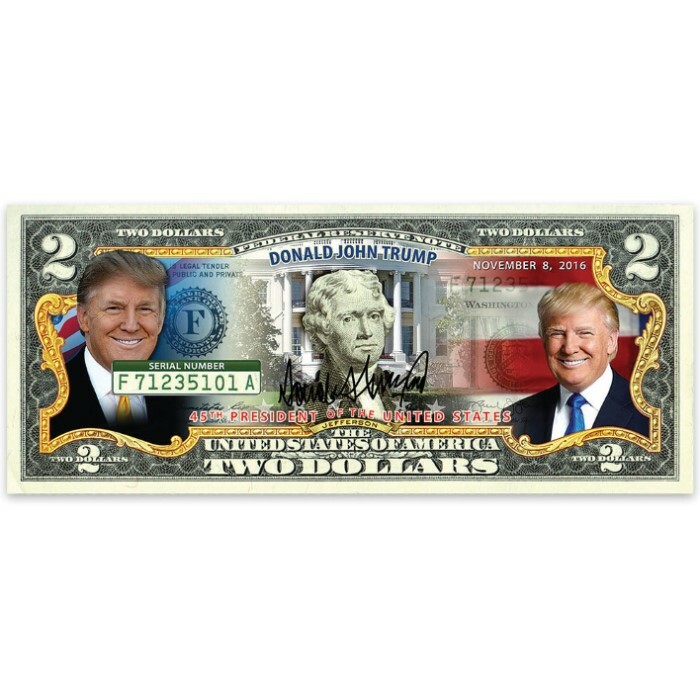 Only genuine legal tender US 2 bills are used for this unique colorization process. 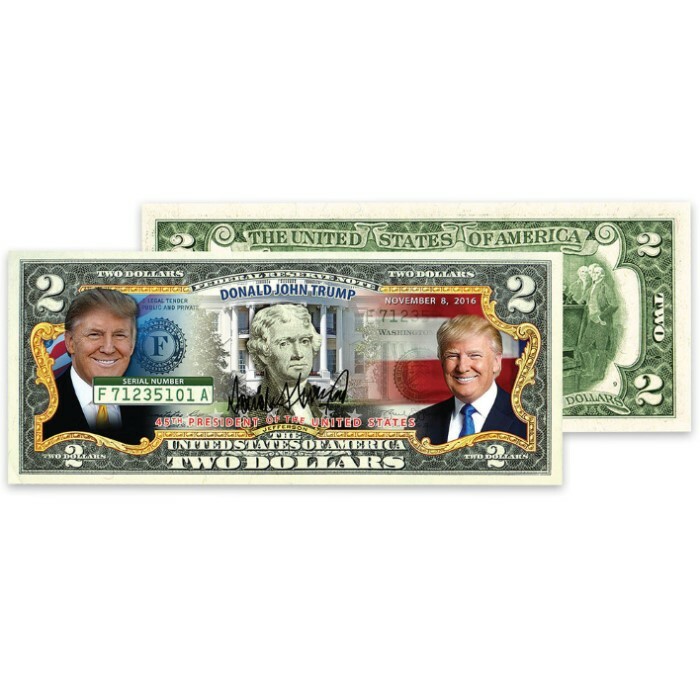 Each 2 bill is in fresh, crisp, uncirculated condition - removed directly from untouched wrapped Federal Reserve sealed packs. Each bill comes displayed in a handsome blue folio. This has been a wonderful gift. I have had to order a few times because I keep giving them away. I did save one for myself though.